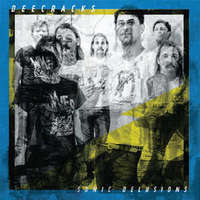 Pirates Press Records is proud to introduce DeeCracks as the newest members of their ever-growing family. "Sonic Delusions" is a perfect introduction for some and the next great fix for DeeCracks' unbelievably loyal fan base all over the world. For fans of Ramones, Screeching Weasel, The Bouncing Souls, and Teenage Bottlerocket. LP includes digital download.